Department of Corrections Sgt. 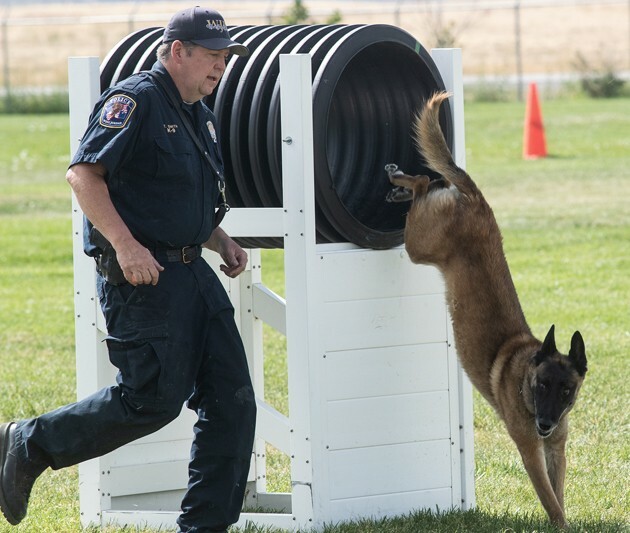 Brian Asay runs 5-year-old K-9 Anubus through the agility and obedience course at Deseret Peak as part of UPOA K-9 Trials. 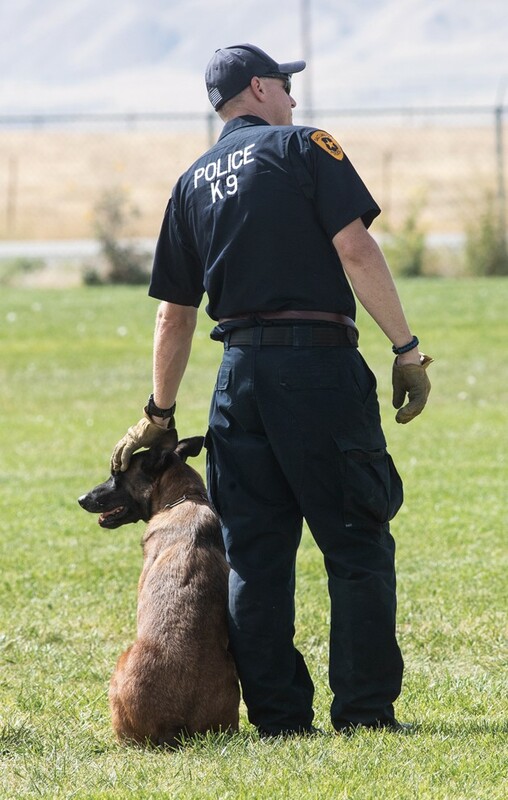 West Jordan Officer Tom Smith works with his partner Duke during the UPOA K-9 Trials at Deseret Peak. Salt Lake City Officer Kris Jepson works with his police dog Ted. Department of Corrections Sgt. Brian Asay watch his dog leap over an obstacle during competition at Deseret Peak on Saturday. Cpl. Chris Gardenhier runs his dog Kratos through the agility course during competition at the UPOA K-9 Trials. Department of Corrections Sgt. Brian Asay guides his dog over a stack of barrels at the competition. Officer Dustin Adams works with his 4-year-old K-9 partner Legion on Saturday at Deseret Peak. The 100-pound K-9 is larger than the average police dog and Adams was pleased with how he handled the obstacles. Deseret Peak Complex was abuzz with activity on Saturday, with the typical softball games and other youth sports. Away from the playing fields, however, a very different type of athlete was competing. 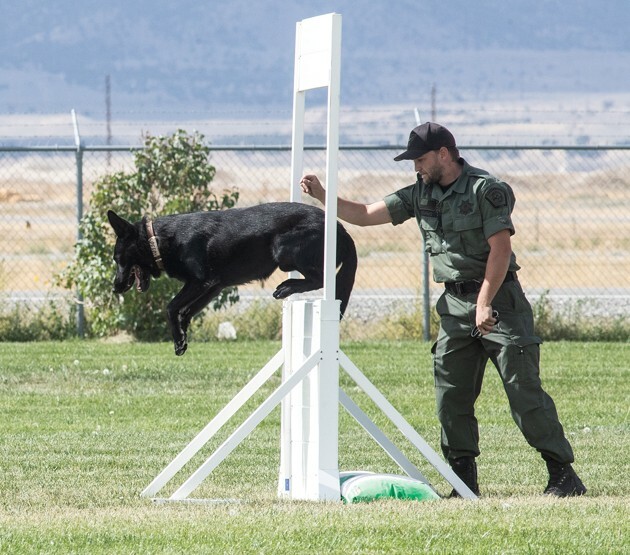 The Utah Peace Officers Association K-9 Trials were into their third day and police dogs from around the state took part in agility and obedience competitions. The agility and obedience course was set up on the grass field by the entrance to Deseret Peak. It featured jumps, a tunnel, barrels to climb and swaying bridges to cross — even a ladder to climb. 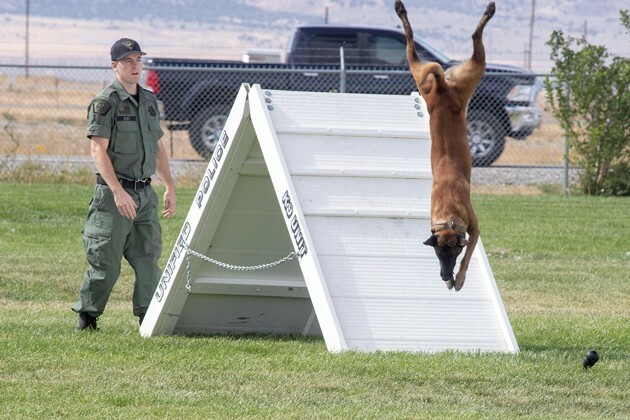 For most of the K-9s competing, the difficult jumps, tricky climbs and balancing acts were finished with ease. The dogs bounded over obstacles, raced through tunnels and followed directions from their handlers. One of the judges at the event, Naples City Police Lt. Andrew Cox, said competitors were judged on the handler’s control of the dog and if it completed all of the obstacles. Each obstacle was worth 10 points. If an obstacle was attempted and failed, the officer and K-9 received a score of five, Cox said. A failed second attempt at the same obstacle resulted in a score of zero. 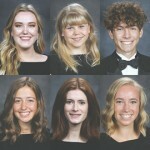 While the time it takes to complete the course isn’t factored into the score, a quick smooth run can be ideal, according to Cox, a K-9 officer for 20 years. “The faster you can move, the cleaner it is, the better point scale you get,” he said. 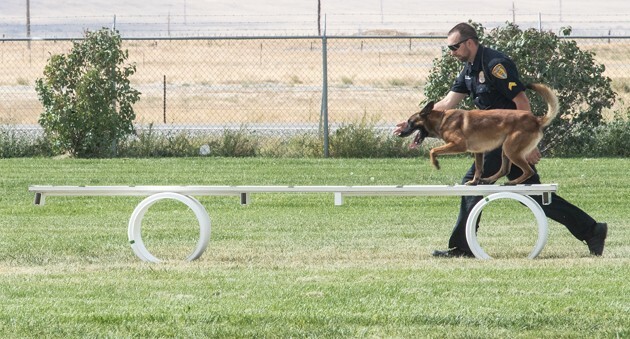 A four-day event, the UPOA K-9 Trials began on Thursday and ran through Sunday, covering a wide variety of disciplines, according to Rose Cox, owner of Oquirrhberg Kennels and the event organizer. K-9s competed in 10 disciplines, including search and rescue, explosive detection, narcotics detection, apprehension and tactical obedience. “This is supposed to be as street real as you can get without being on the street,” Cox said. 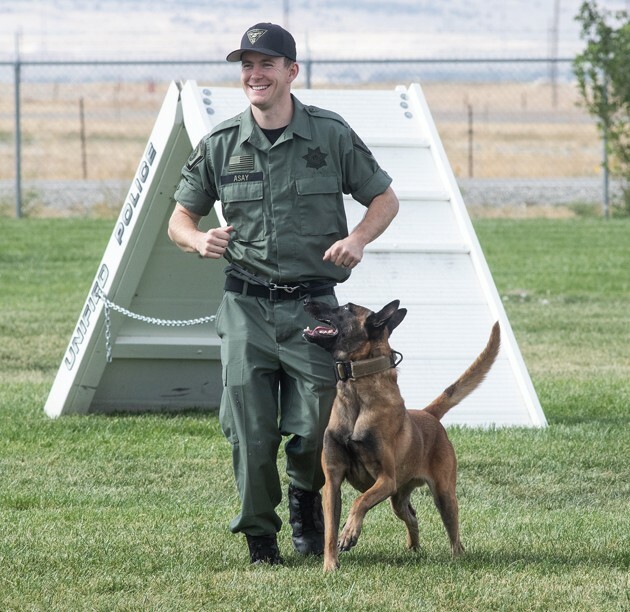 A former K-9 officer with the Salt Lake City Police Department, Cox said the UPOA trials are an opportunity to assemble Utah’s K-9 officers at the one event. 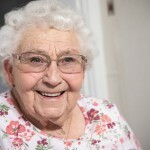 “It gets the officers together and lets them compare notes and get ideas of how different agencies run things and that type of thing,” she said. Officers from Grantsville City, Provo, Salt Lake City, Orem, Vernal City, and Unified police departments competed, as well as the state Department of Corrections and Duchesne County Sheriff’s Office. A total of 48 teams from around the state competed in the trials this year. Grantsville City Police Officer Michael Watkins and his partner, Apollo, competed in the narcotics detection portion of the competition. There were indoor and outdoor components to the narcotics detection competition, which took place Friday. It was the first time competing at the UPOA K-9 Trials for Apollo, a Belgian malinois who joined the department in May 2017. 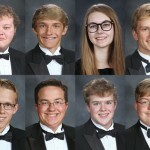 While he wasn’t sure of their exact placing, Watkins said they finished in the top eight out of a field of 20 competitors. Competing in the familiar confines of Deseret Peak Complex was good for Apollo, according to Watkins. “It was kind of like being at home for him,” he said. The narcotics detection involved searching vehicles in an outdoor area and Apollo indicated multiple times, according to Watkins. During the indoor portion of the discipline, Apollo performed similarly while searching a building. 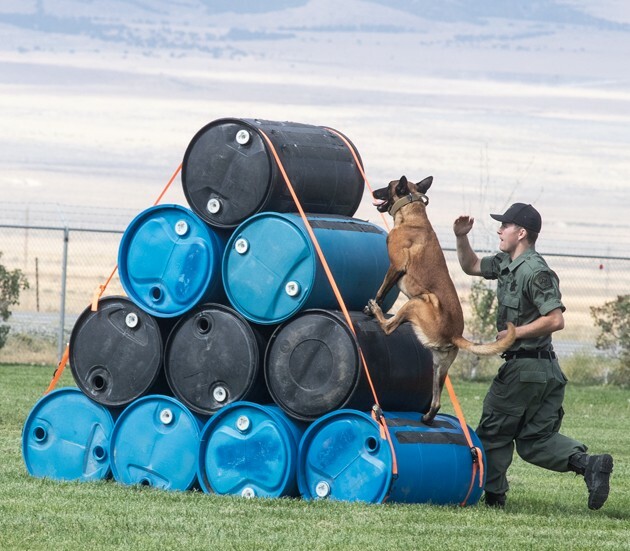 Access to indoor and outdoor space for the UPOA K-9 Trials is one reason Cox said she intends to hold the competition at Deseret Peak again next year. 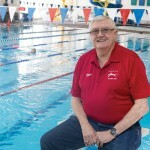 Other places might require separate facilities to host the same number of disciplines.